E-waste generates multi-billion dollar profits, and Malaysia is increasingly becoming a favourite destination for material from developed countries. Several months of observation by FMT show that thousands of containers from abroad have made their way into ports in the country. They carry computers, televisions, VCRs, stereos, copiers, fax machines and other electronic gadgets. But these are unusable, long discarded by consumers in developed countries. They are known as electronic waste, or e-waste. E-waste contributes to a thriving industry in developed countries. Although discarded, it is destined for reuse, resale, salvage efforts, recycling, or disposal. The e-waste recycling business in the US alone is worth over US$5 billion, according to Washington-based Institute of Scrap Recycling Industries, representing more than 1,300 companies dealing with scrap commodities. Until recently, the majority of e-waste from the US was shipped to Asia, notably China. That stopped in 2018, when Beijing announced a drastic “National Sword” policy to ban hazardous materials. This was when e-waste recyclers in the developed West began turning to Southeast Asia. FMT’s investigation found that thousands of containers laden with e-waste from Europe and the US were illegally imported into the country through the ports in Pasir Gudang in Johor and Port Klang in Selangor. In most cases, “importers” – who are in fact syndicates which smuggle e-waste – disguise their cargo as “scrap metal” or other names listed as permissible goods by customs. These are then transported to numerous illegal e-waste treatment plants throughout the peninsula. “More than a thousand 20-footer and 40-footer containers are being imported weekly through our ports and there is no record kept,” said a businessman familiar with the e-waste industry, who suspects a collusion between rogue customs officers and e-waste syndicates. FMT’s probe also found that the syndicates had lobbied Thailand, Vietnam, Laos, India and Indonesia. 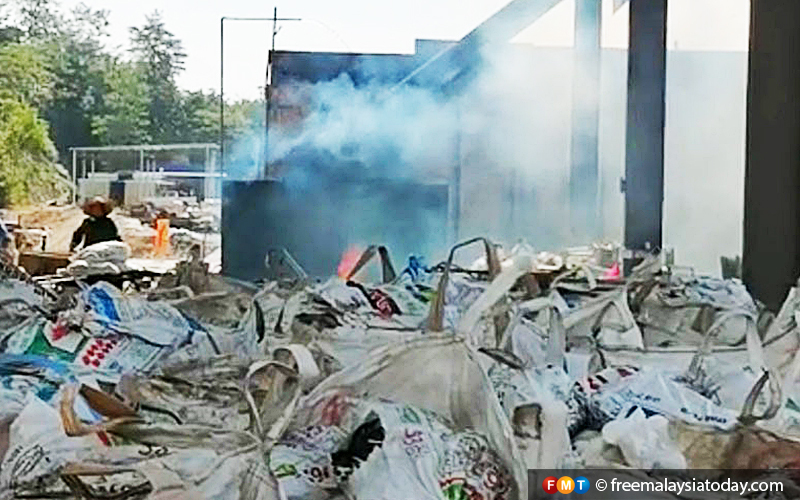 Smoke emanates from e-waste in a factory, where workers are exposed to hazardous material. But these countries shut their doors to the import of foreign e-waste. Eventually, shiploads of e-waste landed on Malaysian soil, with a spike since January last year owing to China’s ban which sparked a crisis in the multi-billion waste recycling industry in the West. FMT’s checks also revealed that many recycling plants have turned into highly polluting dump sites for e-waste. Even more alarming is the fact that these plants are located close to residential areas, and the emissions from the waste could cause serious health problems for the people living there. One major harm from e-waste is lead, which is used for the soldering on circuit boards found in almost every electronic appliance. It is dangerous for both children and adults, and could cause anything from attention-related behaviour problems to tremors, blood pressure, miscarriage and psychiatric conditions to heart disease. The cadmium found in chip resistors and semiconductors could cause irreversible effects on human health. It accumulates in the kidney and liver, and also causes neural damage. The mercury found in relays, switches and printed circuit boards, meanwhile, could cause brain damage, respiratory and skin disorders. The hexavalent chromium found in the corrosion protection of untreated galvanised steel plates, decorators or hardeners for steel housing could cause asthmatic bronchitis and DNA damage. E-waste, which is in the “scheduled waste” – waste which is intractable and difficult to dispose of without special technology – could also have an adverse impact on the environment, contaminating natural resources as well as aqua and marine life. 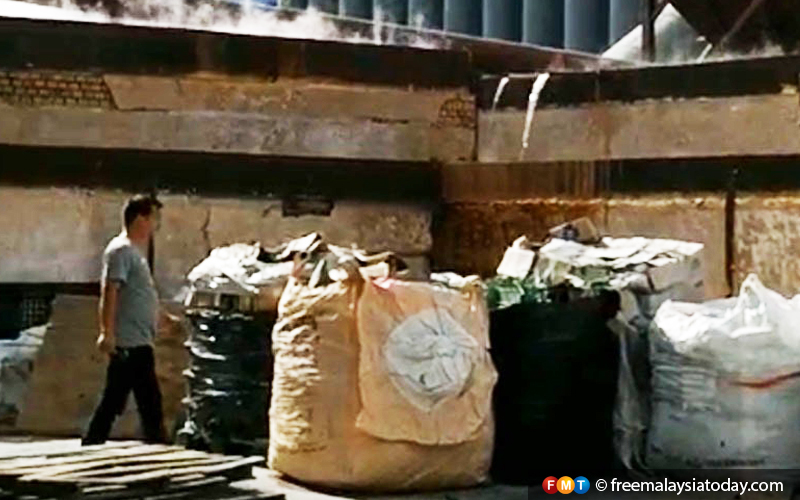 Plastic bags containing electronic waste inside a recycling plant. E-waste plants in Malaysia are strategically planned, and normally located in secluded areas not easily accessible to the public. Security guards are under strict instruction not to allow strangers into the plants. Even genuine businessmen would find it difficult to gain access. 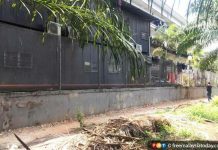 One such illegal e-waste processing plant, in Johor, is located about 2km from the main road. Along the jungle road leading to the plant are spies who check on strangers and alert the management. The plant was licensed to conduct manufacturing, but it is also involved in e-waste treatment. Its operations are highly secretive, and carefully shielded from outsiders. No locals are employed there. 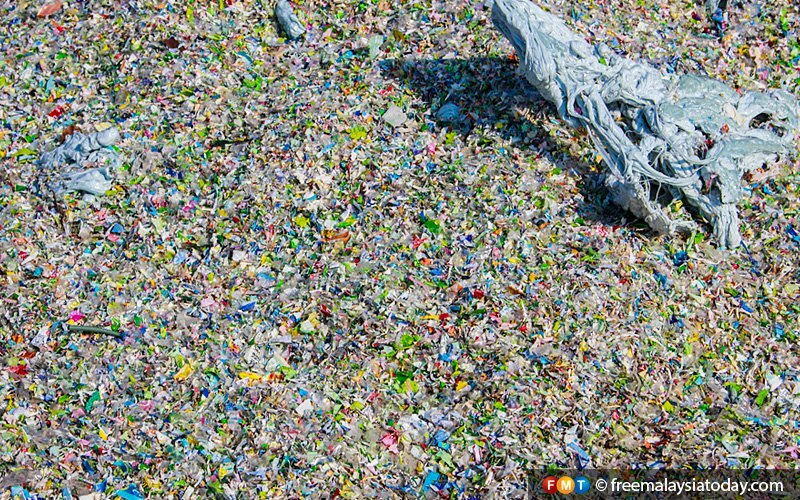 Unlike the plants that treat plastic waste, these do not pile up waste on their ground. E-waste is normally transported by lorries or bonded trucks using jumbo plastic bags. 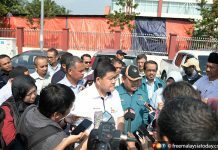 FMT’s investigation also led to an illegal plant in Selangor, located in an enclave covered by hills. The plant is protected by a 2m-high fence, with only one entrance. It was found that workers here – mainly from China, Vietnam, Bangladesh and Myanmar – are exposed to the charcoal used in burning the e-waste, a process to recover metals. Here, there are no safety boots, socks, caps, face masks, ear plugs or goggles for workers. Outside, a chimney releases dark smoke into the air. Closer scrutiny reveals a pre-planned arrangement between logistic companies and the plant management. The main entrance will automatically open when specific lorries arrive with consignments. E-waste is subjected to very high temperatures to extract metal for recycling. These lorries, laden with e-waste in jumbo bags, are not kept waiting outside, possibly due to fear of arousing public suspicion. China had valid reasons to rethink its role as a global waste treatment hub. Two decades ago, China decided to be the global centre for waste treatment. It had a hunger for raw materials for its then-booming manufacturing sectors. Guiyu, a town in China’s Shantou region, was a massive e-waste recycling centre about 30 years ago, perhaps the largest e-waste site in the world. Today, its land, air, rivers and ground water are contaminated. In just over two decades, several major dumping incidents were exposed. In 1995, 41 drums of potassium cyanide from a chemical plant in Penang was found dumped at Pangkor Island in Perak. 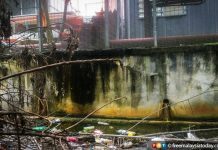 In 2003, about 50 drums of toxic waste were found dumped near a residential area and a golf course in Kelana Jaya. 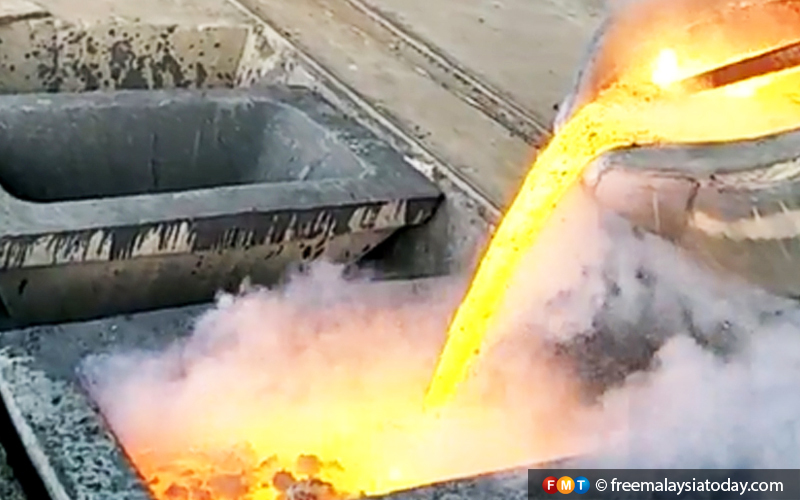 In 2004, more than 12,000 tonnes of toxic waste (copper oxide from copper plating) from Taiwan was found at a brick making factory in Johor. In 2006, ammonia leaked from 300 tonnes of aluminium oxide waste which was found dumped in Labis, Johor. Despite a host of laws to regulate and control scheduled waste, Malaysia is fast becoming a dumping ground for e-waste, chemicals and metals. The signs are already there that more illegal waste plants may mushroom in the country. The recent scare in Johor could be just the tip of the iceberg.